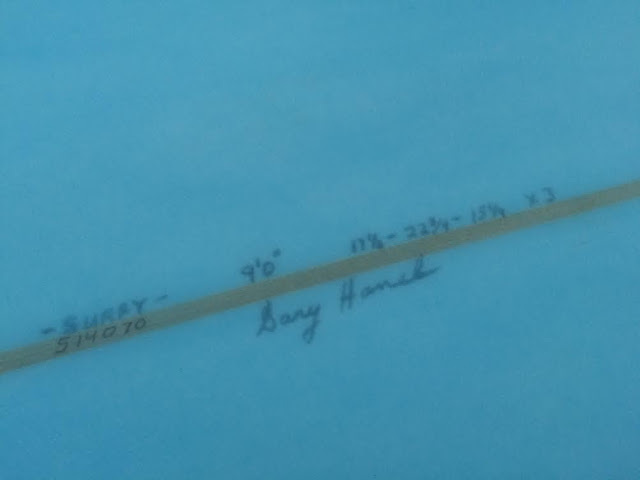 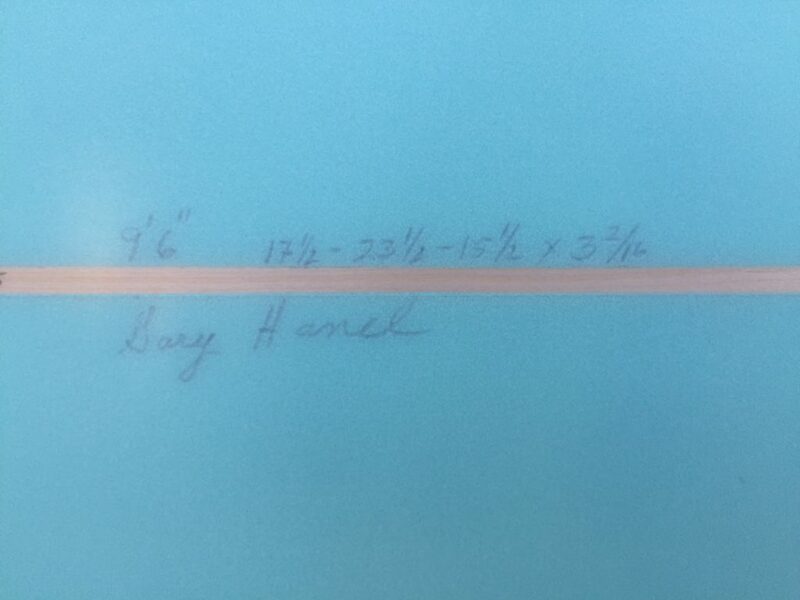 The “new” Gary Hanel Dew Drop! 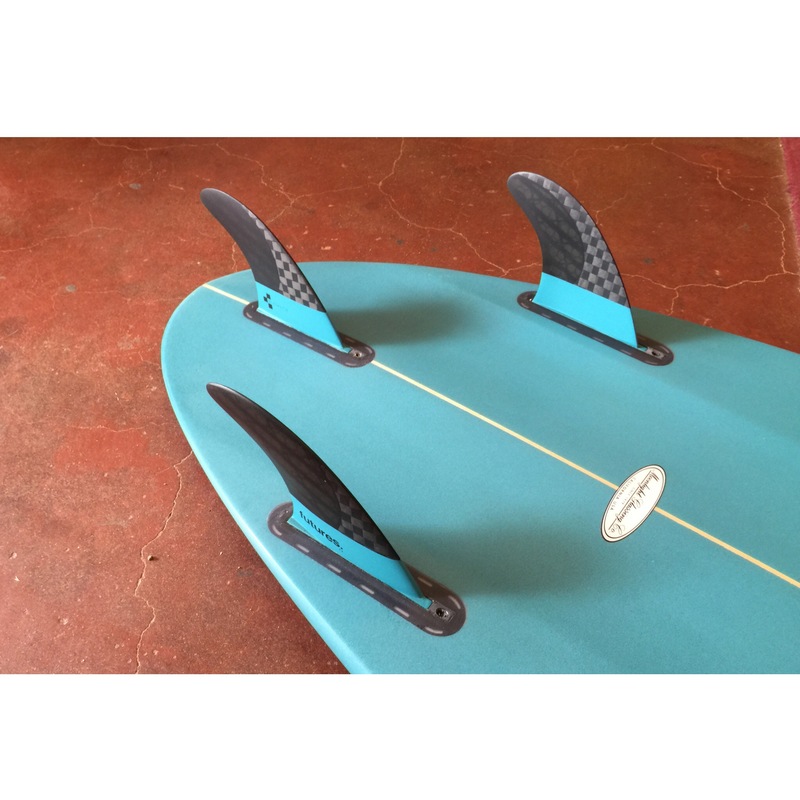 Performance rails and rocker, deep double concave, built as a thruster so it’s solid under your feet at all times. 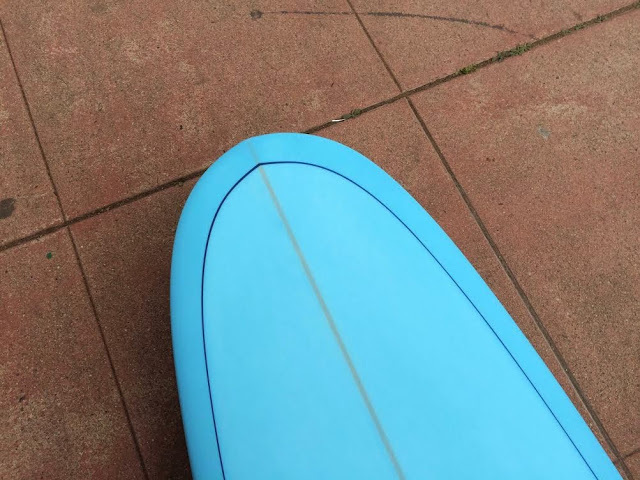 The tail is more puled in than the Pill. 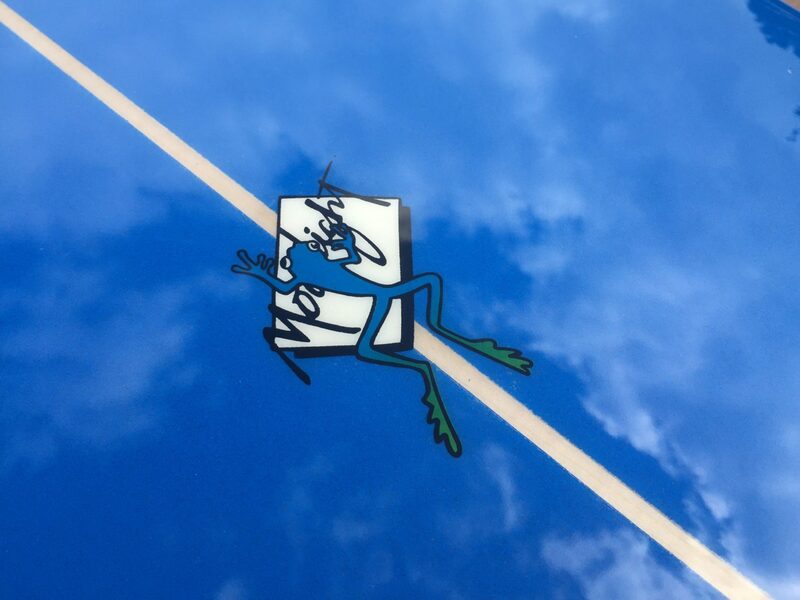 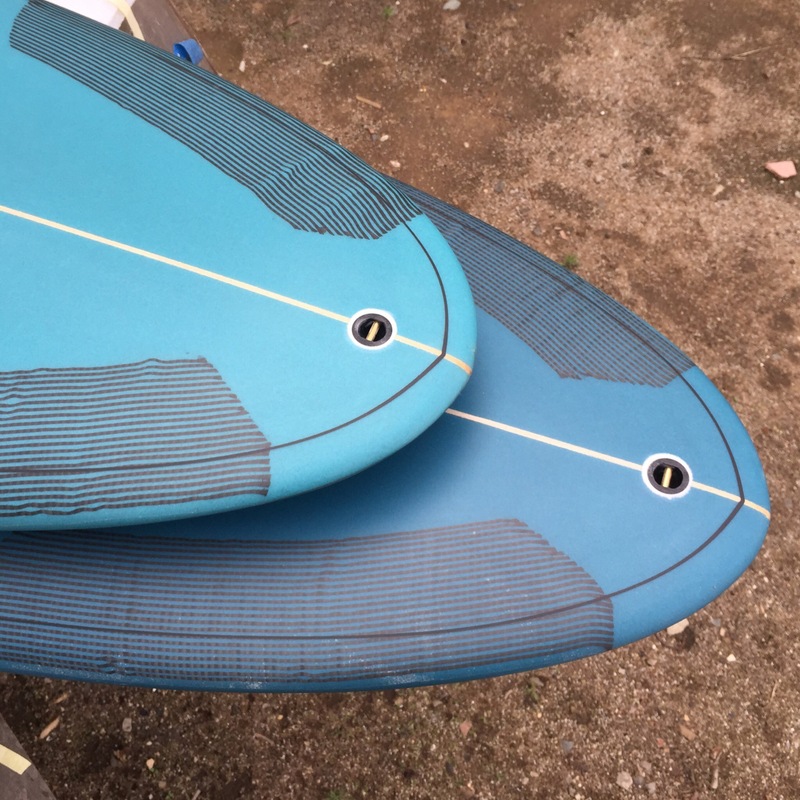 Airbrush, carbon tail patch. 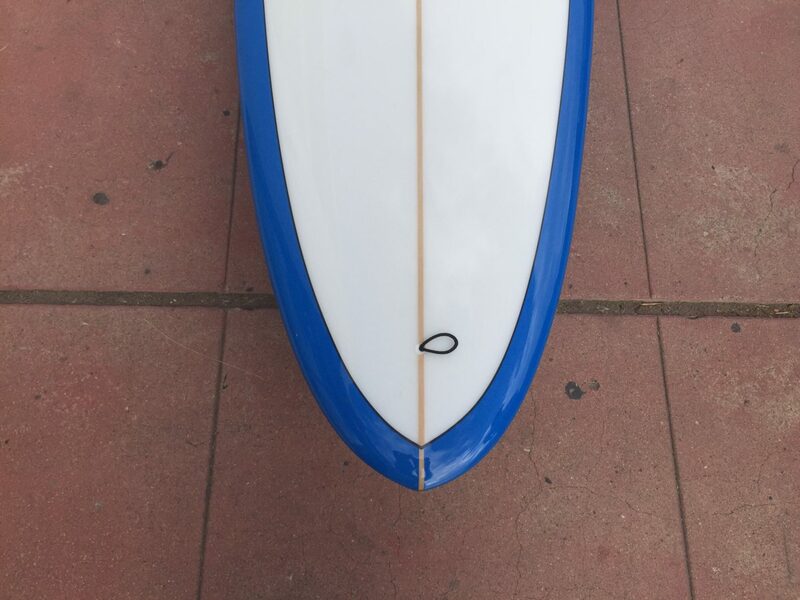 pinline. 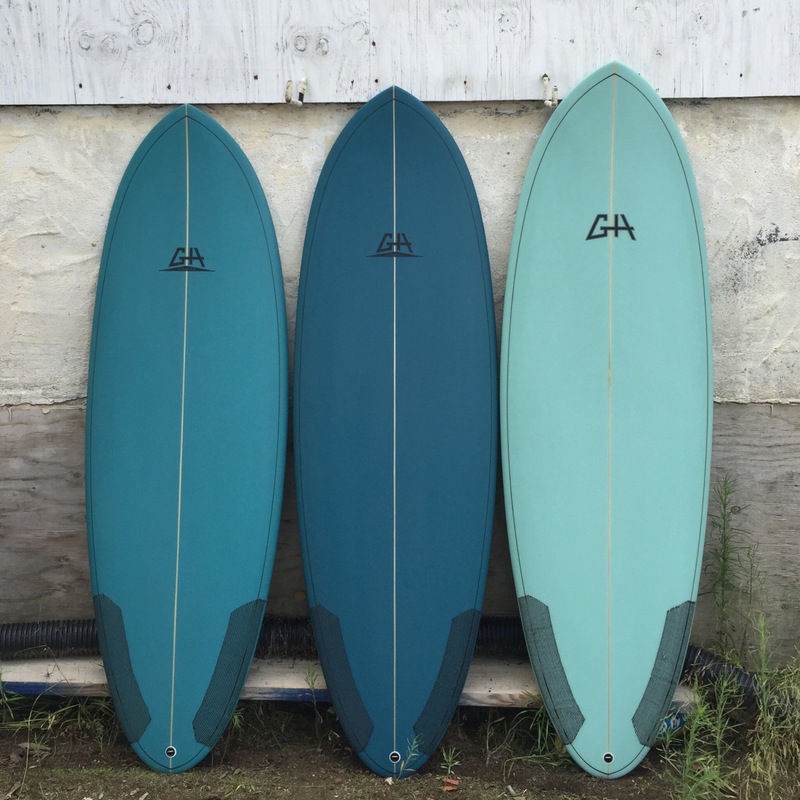 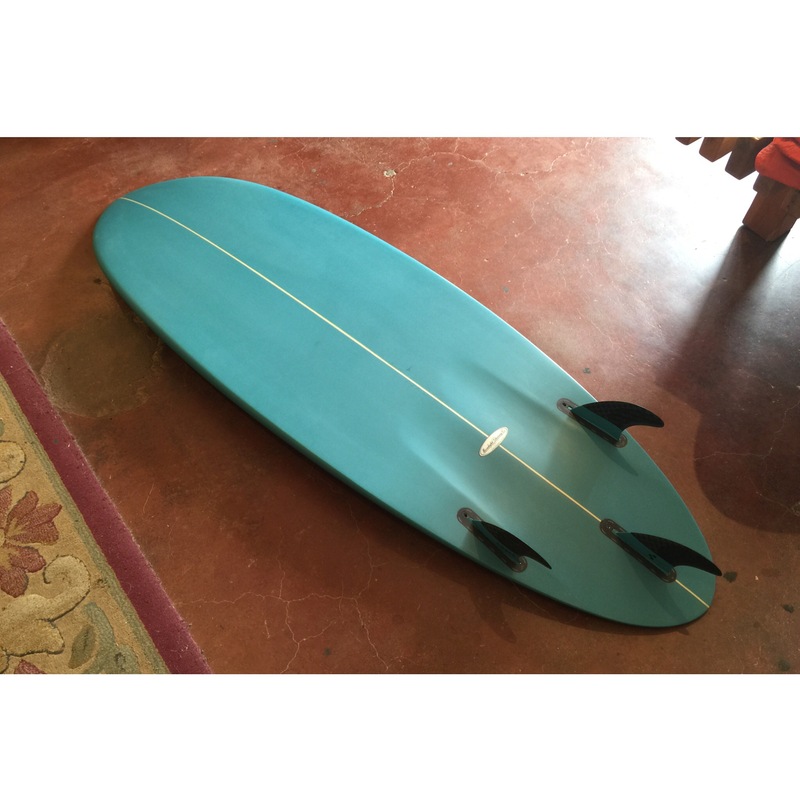 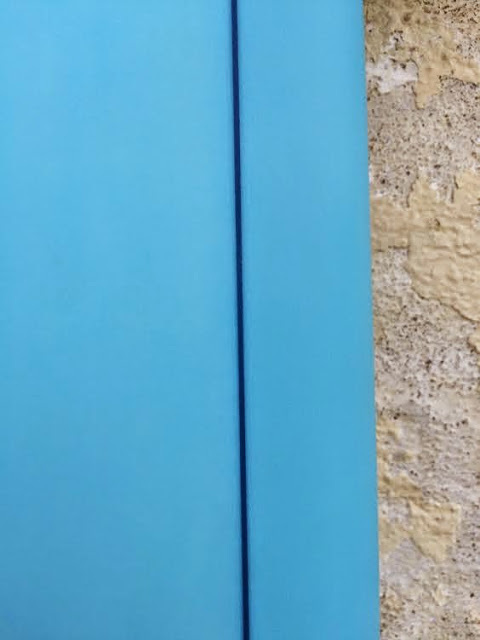 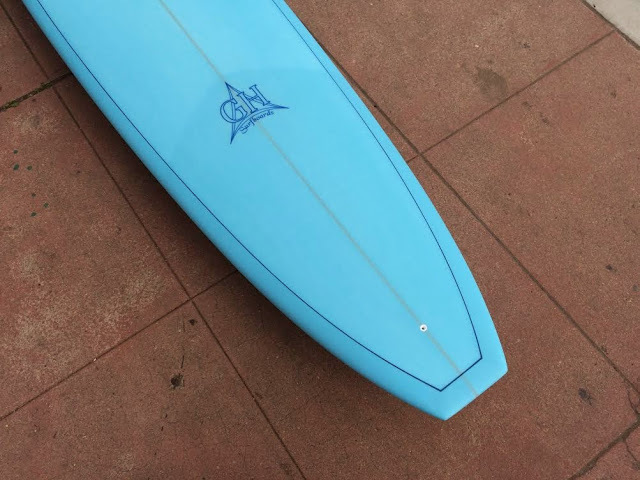 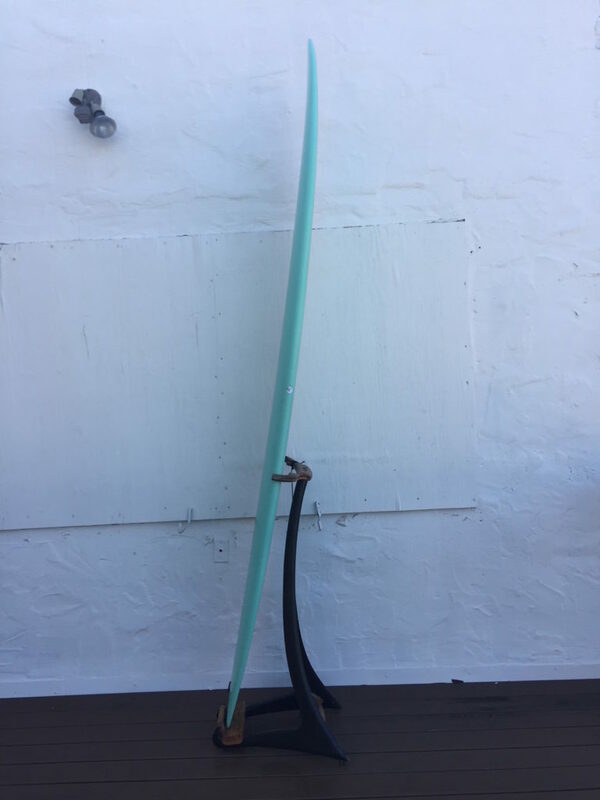 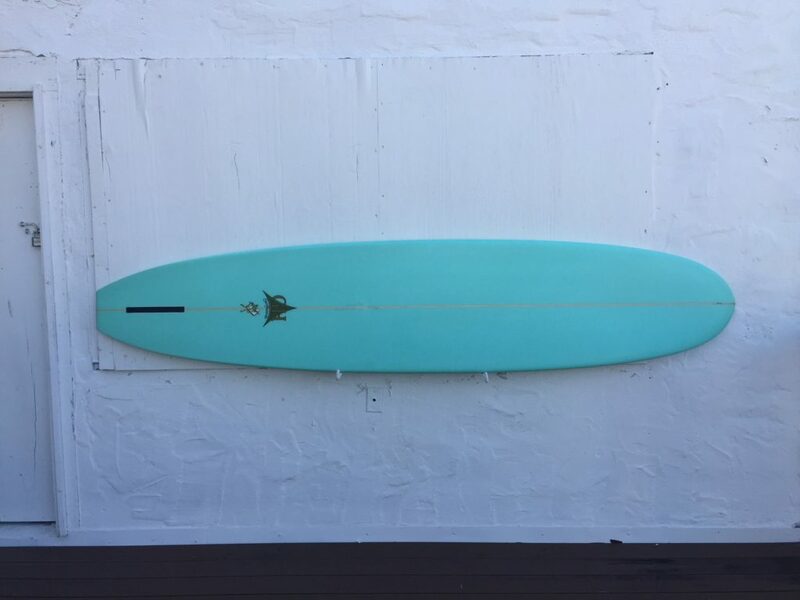 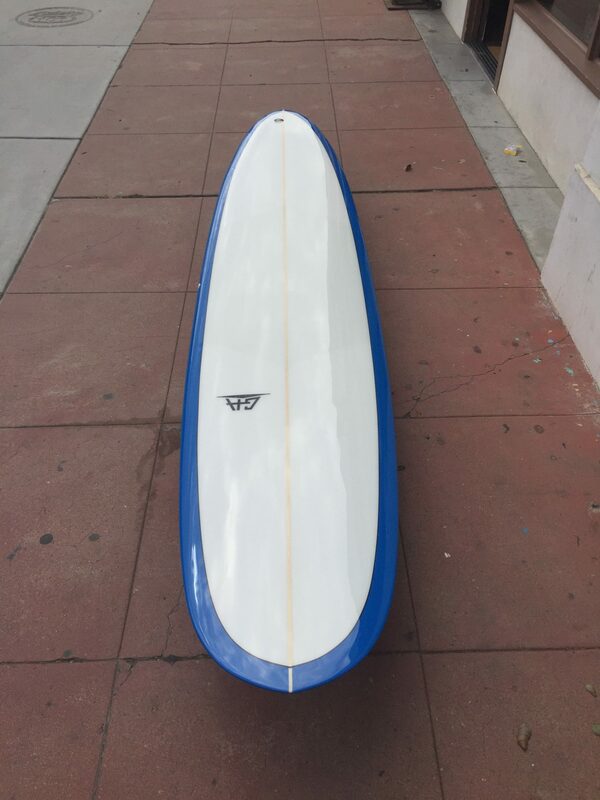 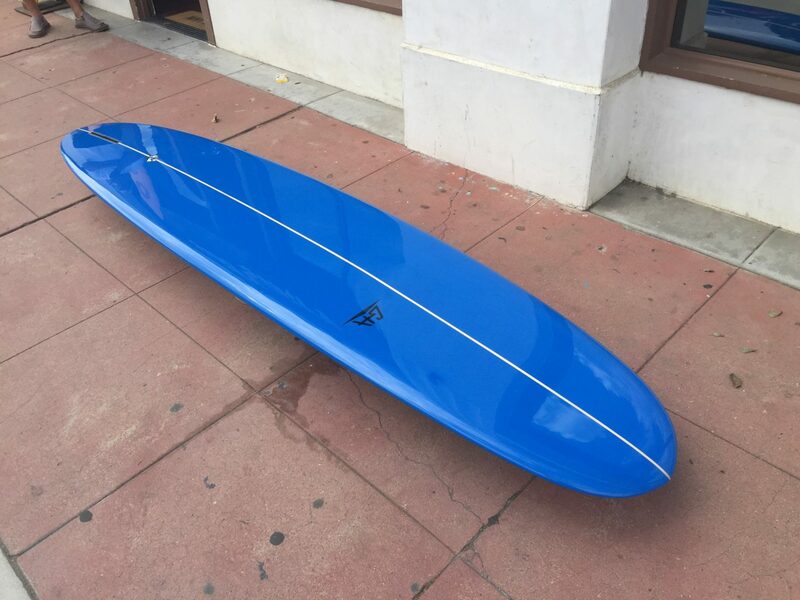 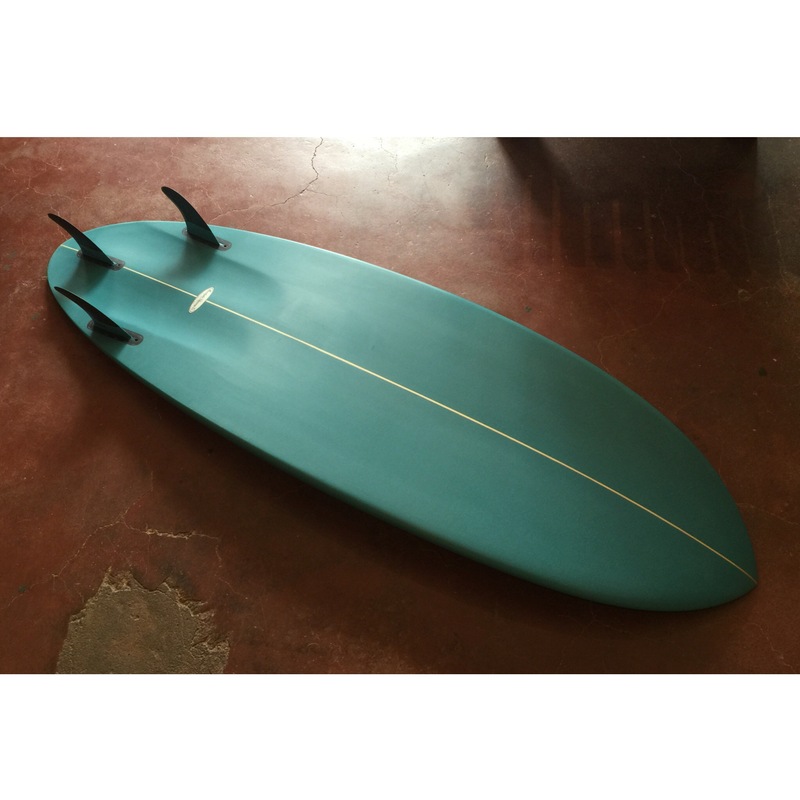 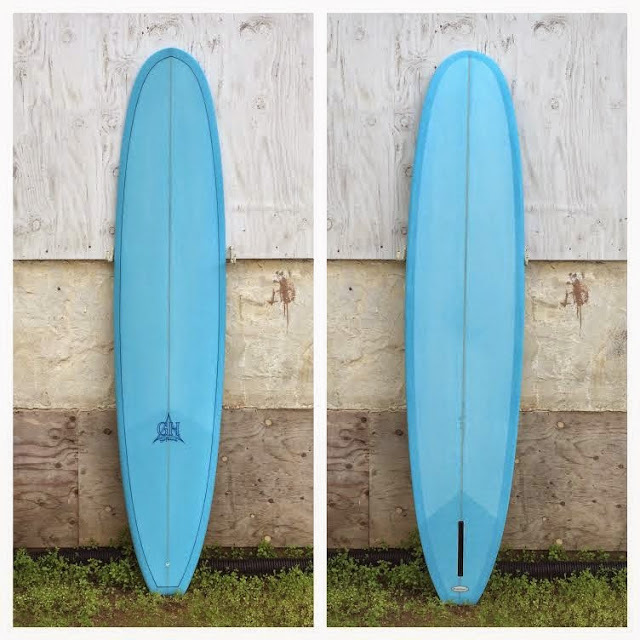 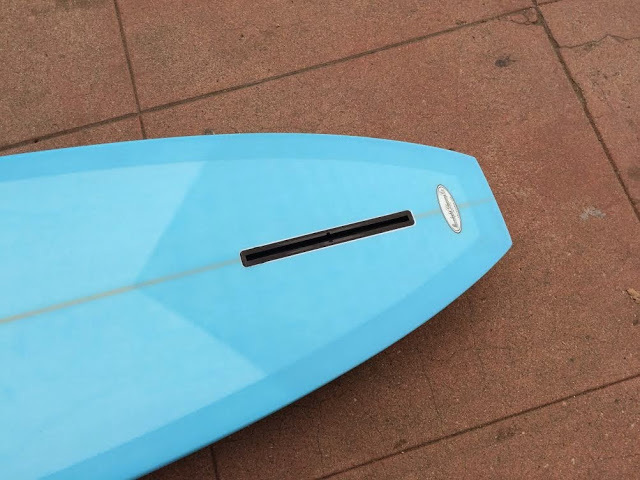 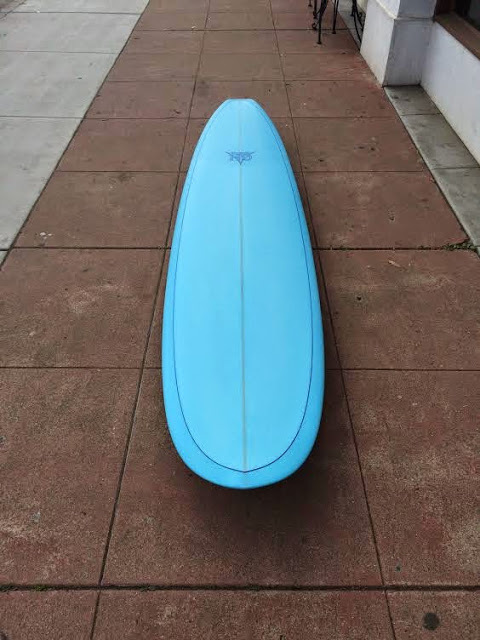 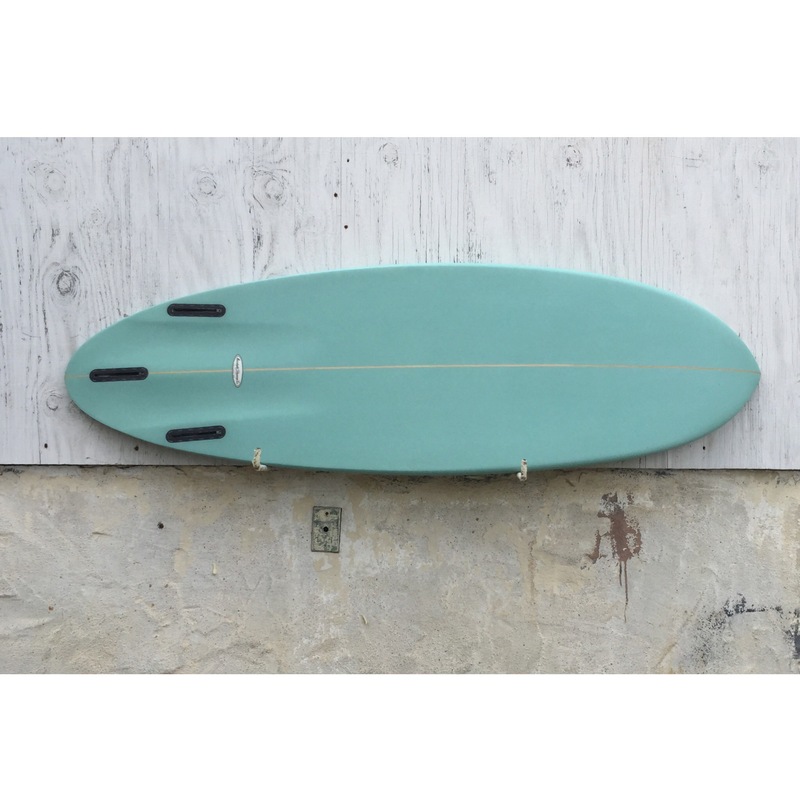 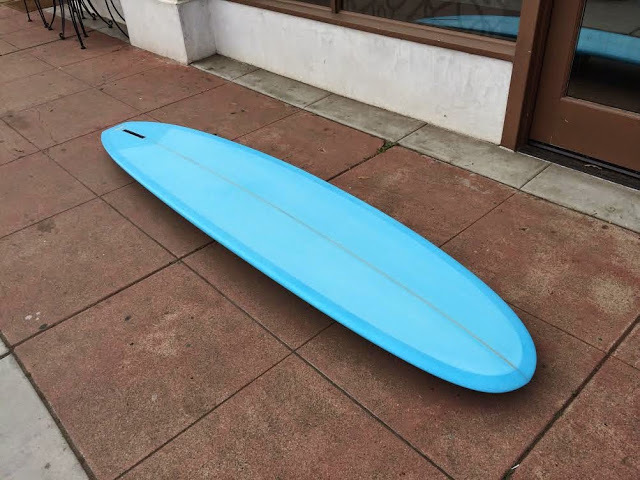 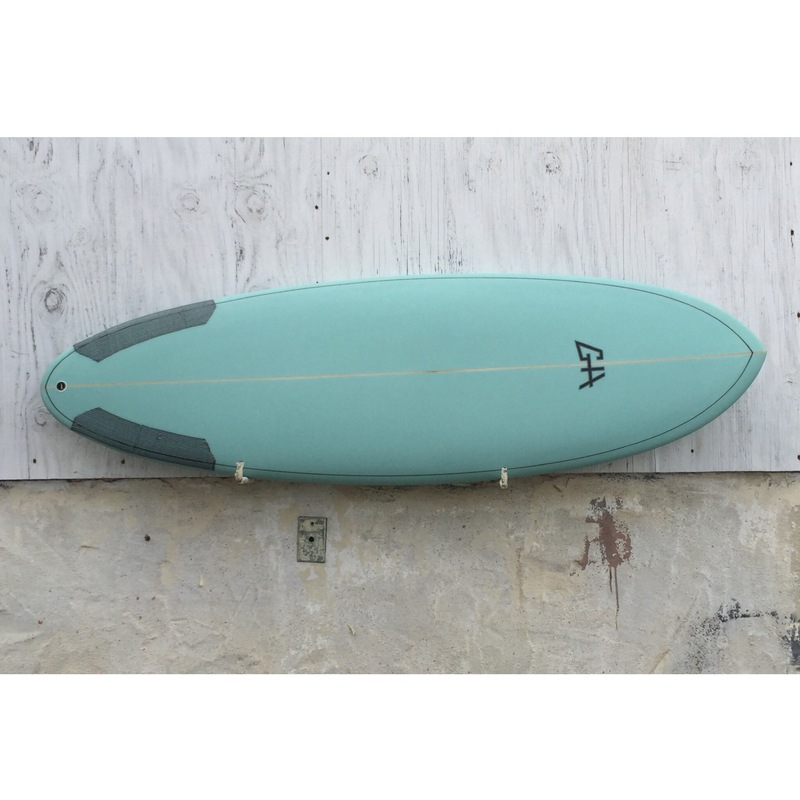 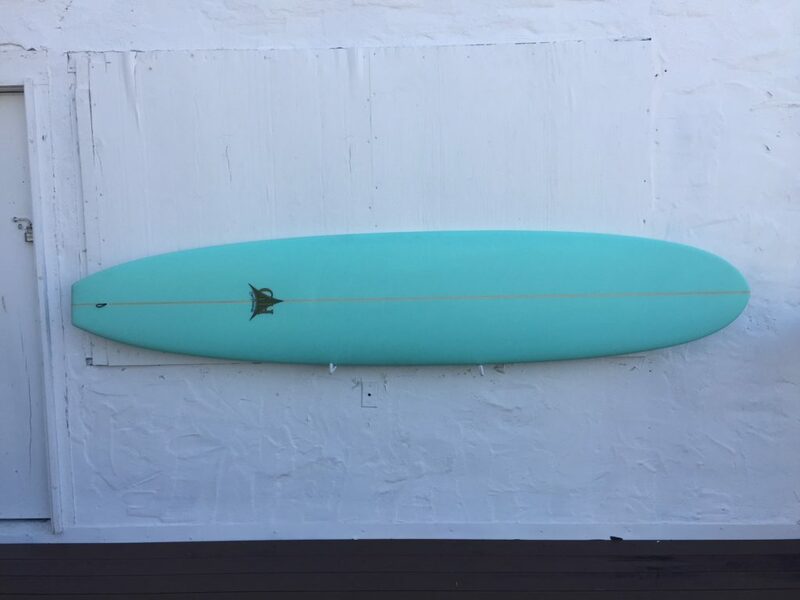 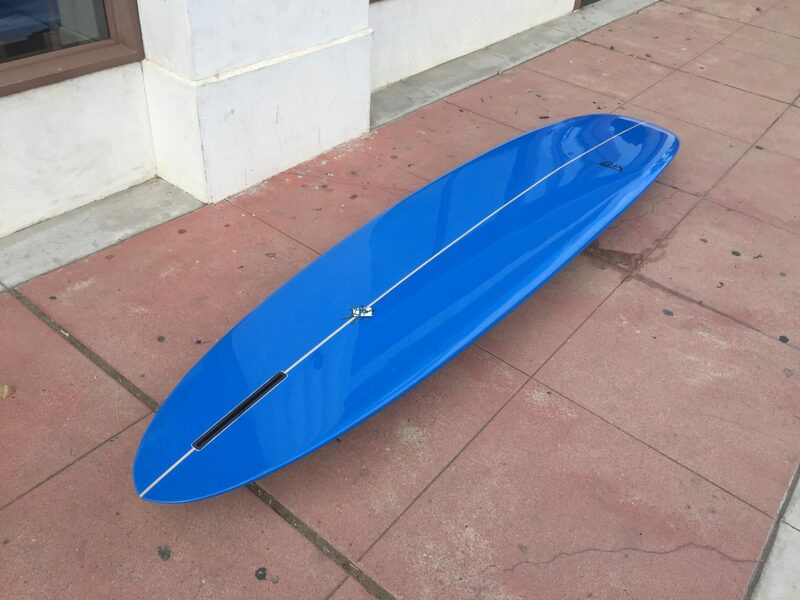 Cool Blue: 9′ Basic Longboard handshaped by Gary Hanel in Leucadia, CA. 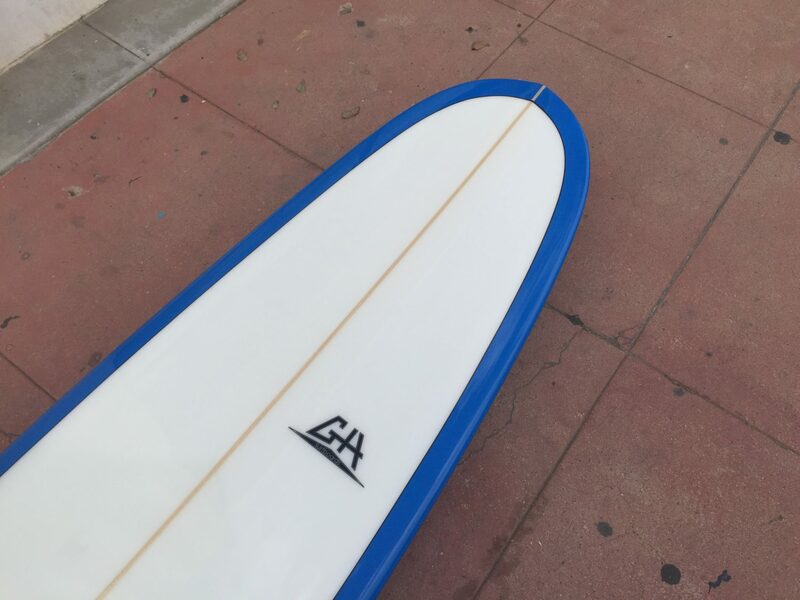 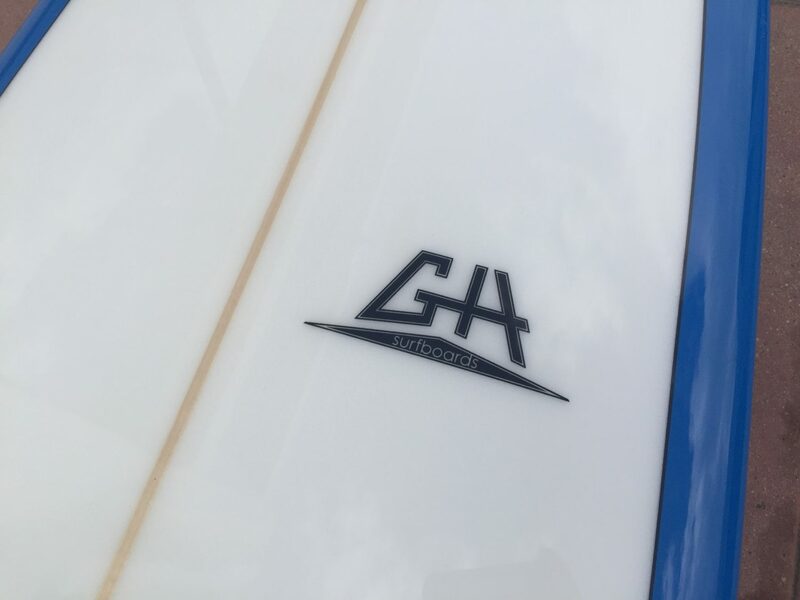 GH’s longboards are clean, easy to ride, non-pretentious and affordable. 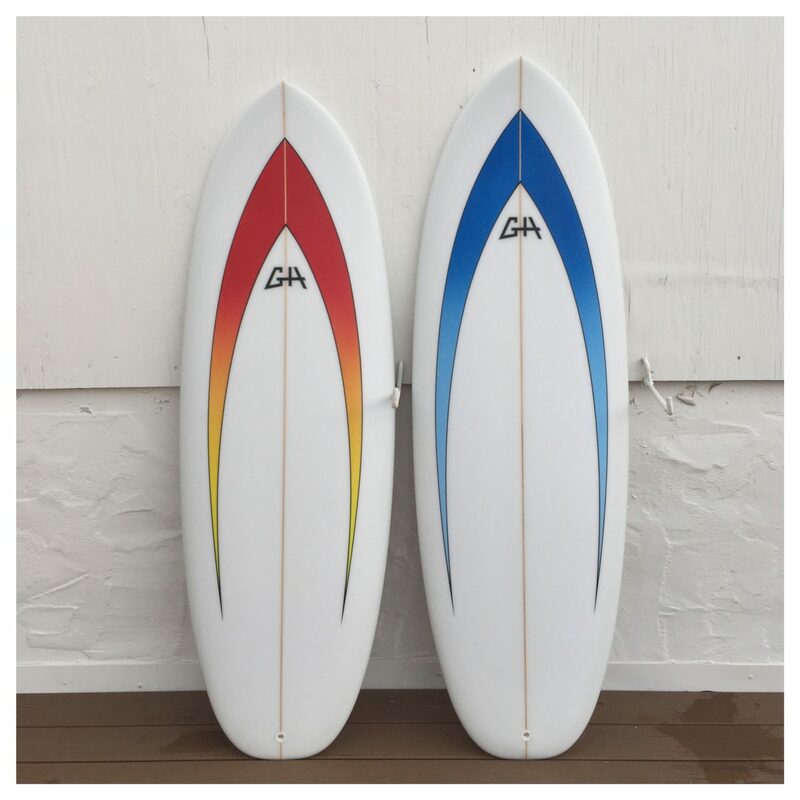 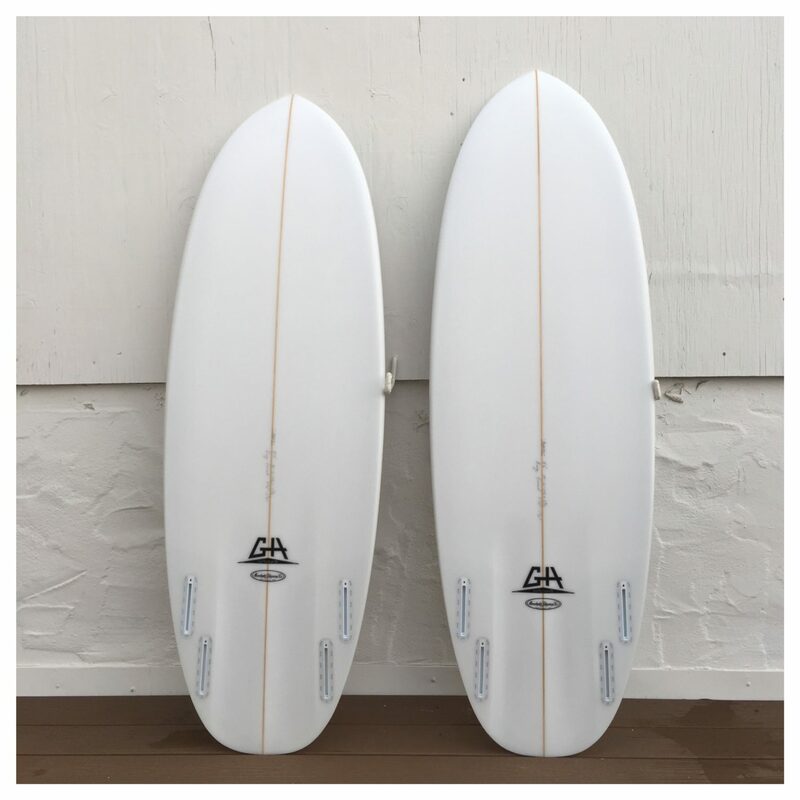 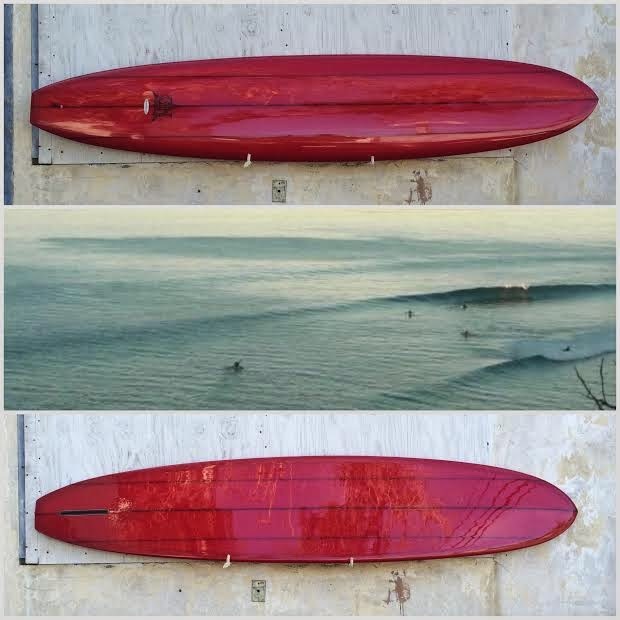 Embrace glassy small wave surfing with this 9’6″ x 22 3/4″ x 3 1/8″ Gary Hanel “Red Line Special” triple stringer single fin longboard, oooooOOOoooh!